Window open or closed? Finding the ideal room climate is not so easy and ventilation isn’tt always the first choice. Depending on the weather, the air quality may even deteriorate. 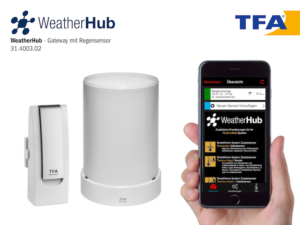 With the "COSY RADAR" set you can easily and specifically improve your indoor climate, permanently avoid mould and thus live healthier. 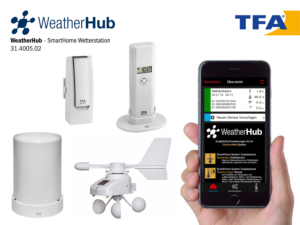 Indoor and outdoor climate are checked at the same time and the WEATHERHUB App gives you specific ventilation recommendations directly on your smartphone. 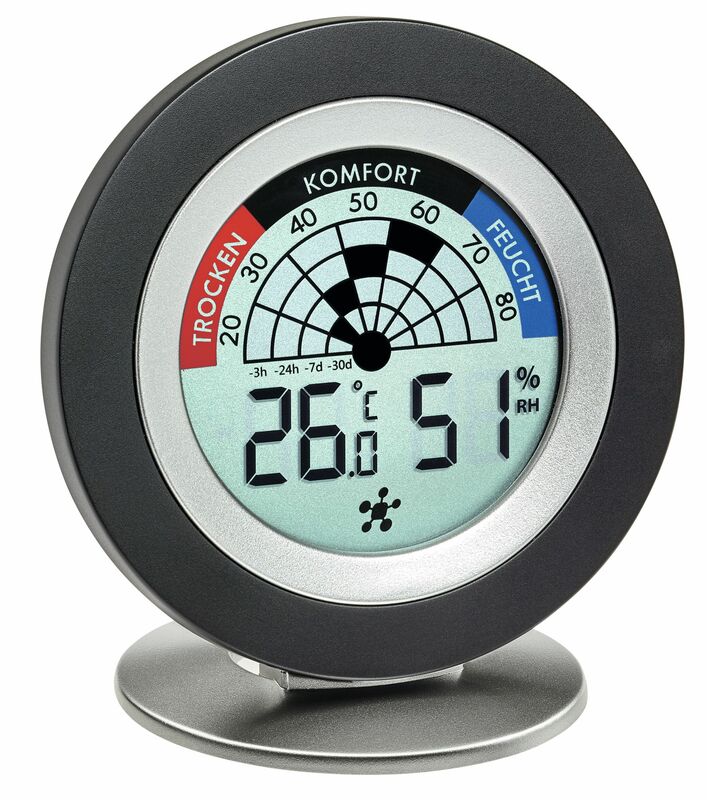 1) The "COZY RADAR" thermo-hygrometer informs you on the temperature and humidity at the place of installation, e.g. in the bedroom, nursery, basement or pantry. 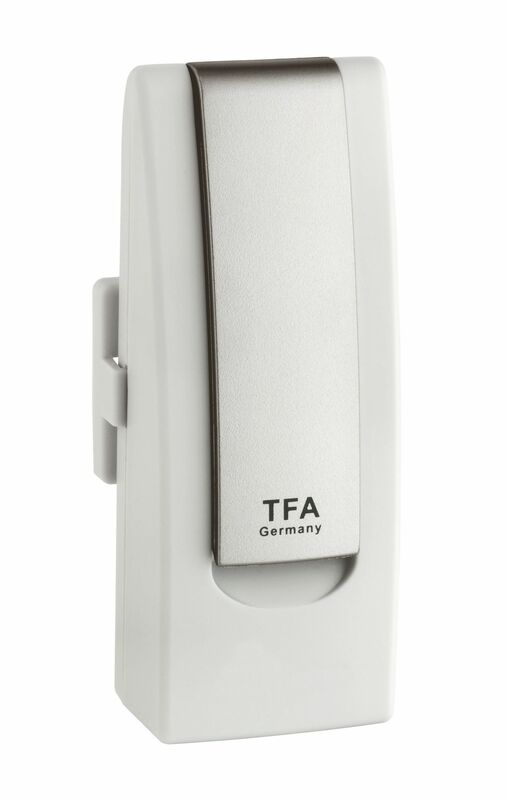 You can immediately detect any persistent risk of mould on the innovative long-term radar display. 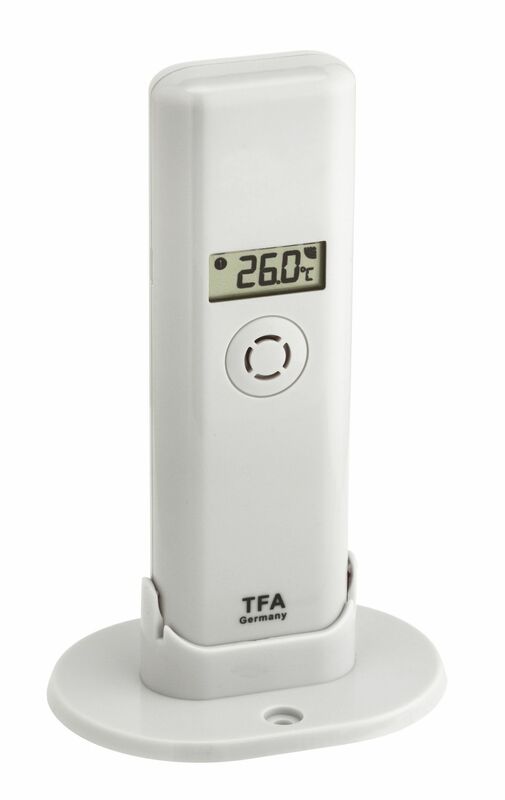 2) The thermo-hygro transmitter provides you with the outdoor temperature and humidity simultaneously. 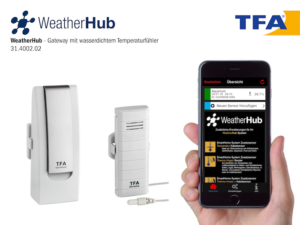 3) The WeatherHub Gateway receives the data from the thermo-hygrometer and transmitter and sends the readings to a server via the Internet. 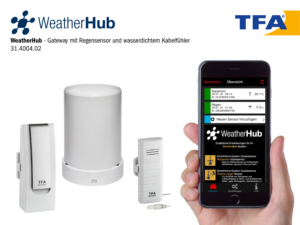 The WEATHERHUB App accesses the data, compares the indoor climate with the outdoor climate and gives specific recommendations for actively improving the indoor climate with ventilation, heating, dehumidifying or humidifying. The app then reports, for example: "Room air clearly too humid. Ventilation improves the living environment. In case of a cold room increase room temperature. Dehumidify actively. Risk of mould! " So you can immediately initiate the necessary steps and ensure a comfortable and healthy indoor climate. 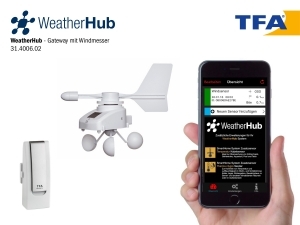 With the WEATHERHUB app, you can retrieve the measured values worldwide via smartphone and use numerous additional functions. 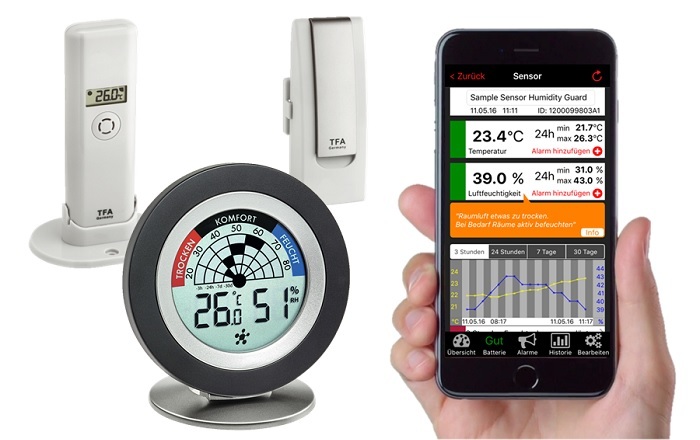 For instance, the current temperature and humidity can be retrieved with highest and lowest values, different alert limits can be set and push messages are sent as a warning. The history of the past 90 days is visible and organised in different periods shown in graphics. 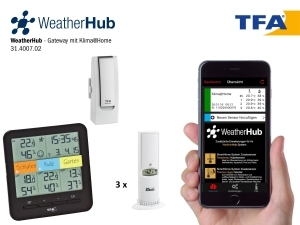 You can expand the system by adding up to 50 sensors and many other types of transmitters.